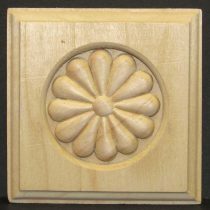 A decorative way to complete your moulding project without 45-degree cuts. Available in Hardwood that measures 3-1/2″ x 3-1/2″ x 7/8″. Available in oak that measures 2-1/2″ x 2-1/2″ x 7/8″ or 3-1/2″ x 3-1/2″ x 7/8″. 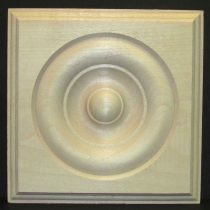 A decorative way to complete your moulding project without 45-degree cuts. Available in Hardwood and oak. Measures 3-1/2″ x 3-1/2″ x 7/8″. 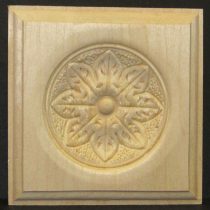 A decorative way to complete your moulding project without 45-degree cuts. Available in MDF, Pine, Hardwood, and Oak in a variety of sizes. Some are special order and some are available for immediate pick up or through our online store.